Custom Cooler Walk-In Coolers & Freezers | Windrock Enterprises, Inc.
Windrock Enterprises is proud to provide Custom Cooler walk-in coolers and walk-in freezers. Custom Cooler is an industry leader in walk-in cooling solutions, with over 100 years combined experience in custom design, engineering and manufacturing of walk-in coolers, walk-in freezers and industrial cold storage applications. Their modular panel systems are engineered and built to your exact specifications and they offer a variety of panel types and finishes to fit your particular needs. Windrock Enterprises works with Custom Cooler to provide you with refrigeration equipment that meets the requirements of your walk-in cooler and freezer enclosure project. Custom Cooler utilizes state of the art manufacturing equipment and custom manufacturing processes to ensure that each walk-in cooler is built to precise specifications. 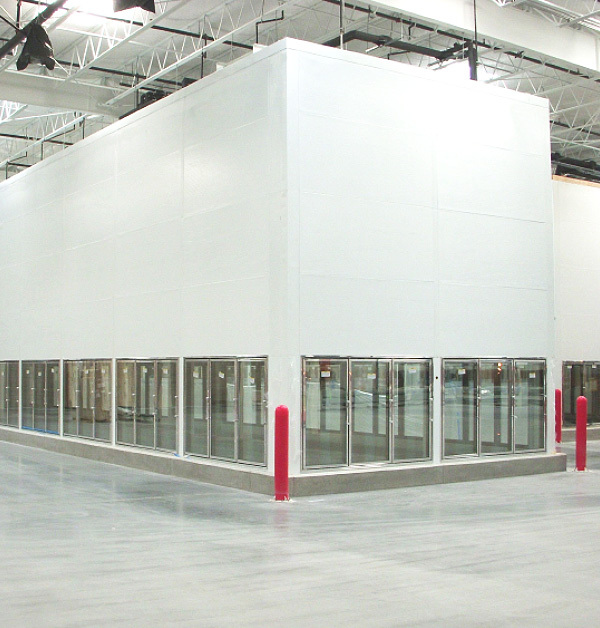 Their camlock panels use only CFC free foamed-in-place polyurethane and their continuous line (CLP) panels use a closed cell, Energy Star qualified, expanded polystyrene (EPS) core. All of their panels and doors meet the stringent new energy regulations currently in place. These include minimum R-values (insulation values) for both coolers and freezers and the need for self-closing doors. Refrigeration equipment that Windrock Enterprises installs from Custom Cooler provides top-quality, energy-efficient cooling, which meets local and state regulatory commission requirements. Stay cool with Custom Cooler walk-in coolers and freezers and Windrock Enterprises.